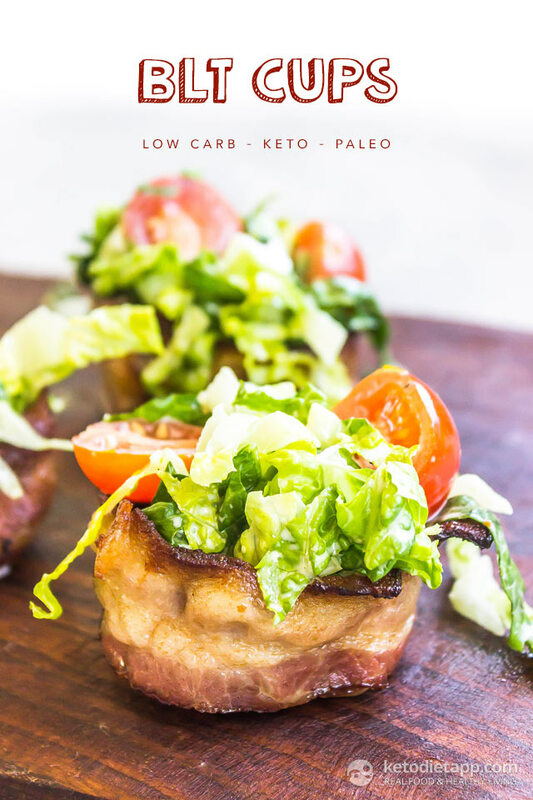 These Keto BLT Cups make a perfect handheld appetizer or quick snack! The bacon shell is totally fun and super easy to make. They are dairy-free, nut-free and ultra low in carbs. These cups are ideal for those who keep their carb intake very low. Similar to deviled eggs, this ketogenic snack requires minimum prep time and you will only need a few common ingredients. 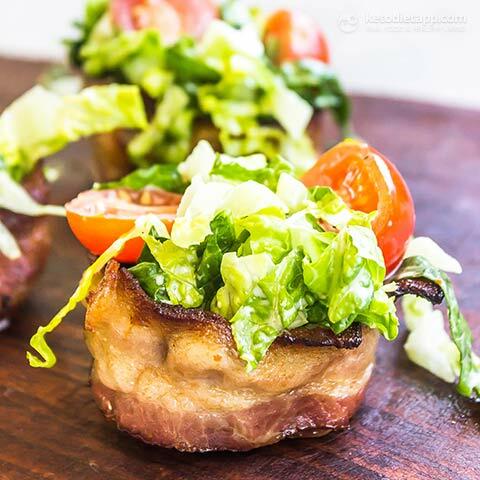 The crispy bacon cups can be made in advance and stored in the fridge for several days. 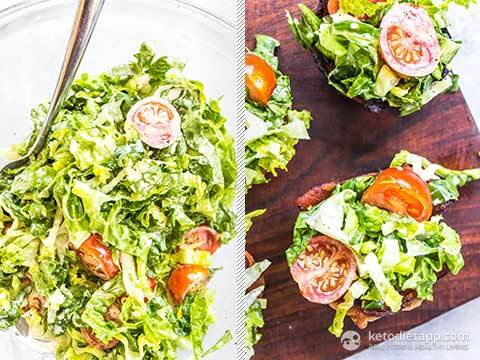 It only takes a couple of minutes to prepare the bacon lettuce & tomato filling. Note: Nutrition facts exclude bacon grease which is not used in this recipe. One slice is about 45 g (1.6 oz). If using thin-cut bacon, you may need to use up to 4 slices of bacon to make each cup. Make sure to use enough bacon to make the perfect shapes. Preheat oven to 205 °C/ 400 °F and place a muffin tin upside down on a baking sheet lined with aluminum foil for easy clean up. You will need 2 slices of bacon to make each cup. 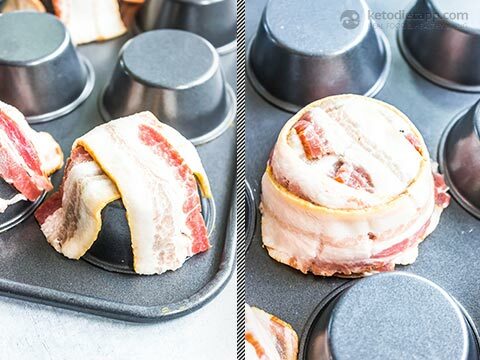 Cut 6 slices of bacon in half and lay them over a muffin tin in a cross shape. Wrap a whole slice of bacon around the entire muffin cup covering the outsides of the cross. Repeat with remaining bacon. Transfer to the oven and bake 20-25 minutes until crispy then let cool completely. You can reserve the bacon grease for another use, or discard. Prepare the dressing. 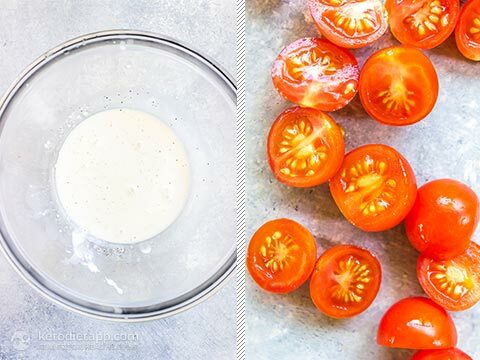 In a medium bowl whisk together the mayonnaise, lemon juice, salt and pepper. Halve the cherry tomatoes. To the bowl with the dressing, add the tomatoes and lettuce. Toss to mix. Fill the bacon cups with the mixture and serve. Eat immediately. The unfilled bacon cups can be stored in the fridge for up to 5 days. The salad is best prepared fresh and can be stored in the fridge for up to a day. Great idea! Made them a few days ago and they were a hit! I didn't use the lemon juice because my mayonnaise brand is pretty acidic already. I think it's important not to stretch the bacon around the cups too much, because as it cooks it contracts significantly and ends up a bit deformed. It still made usable bacon cups, though, and they were delicious. 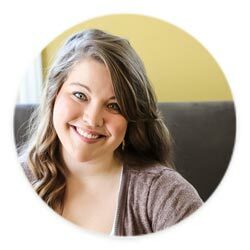 Thank you for the great tip, Erica!